Karst Worlds: World's Biggest Cave? A Britisch team led by Howard Limbert discovered what they claim to be the biggest cave in the world in a remote part of Vietnam. 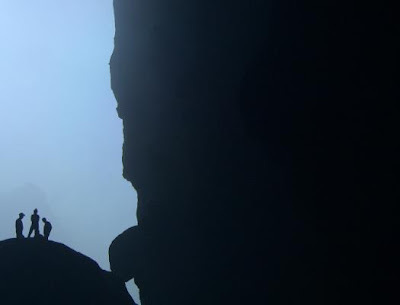 A photography and filming crew from National Geographic Channel joined the team in 2010 on a 20 day expedition into Hang Son Doong ("Mountain River Cave"). 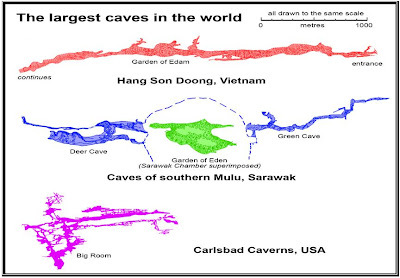 Together with an international team of scientists they hiked deep into the jungle of the Phong Nha-Ke Bang National Park and descened into the abyss to find out the thruth: Is this cave really bigger then Deer Cave (Malaysia), the current record holder? You can read the report of the expedion in the January 2011 edition of the National Geographic Magazine both in paper version as well as online. On the NGC website you can also find a nice picture gallery and an interactive map of Hang Son Doong. Update 2: (10/01/2011): Howard Limbert published all expedition reports and surveys online: you can find the survey for Hang Son Doong here and and overview of the Ke Bang caves here.